Dental implants are a common tooth replacement solution regardless of whether your teeth have been lost due to periodontal disease, an injury, or some other reason. You can use dental implants to replace a single tooth, multiple teeth, or a full upper and/or lower set of teeth. If you need to restore all your upper teeth or all your lower teeth, we can assess whether or not you are a candidate for a treatment called All-on-4 Dental Implants. During this treatment, we place four implants and then attach a full arch of teeth. There are many factors that our doctors will consider prior to recommending a treatment plan for you. Among these are whether or not you have adequate bone support and healthy gum tissue. Your overall health and the locations of your sinuses and nerves will also be considered. During your in-depth initial consultation, our doctors will complete a comprehensive oral exam and review you medical and dental history. They will usually use 3D CT scanning to assist in diagnosis and treatment planning. Have You Been Turned Down for Dental Implants? 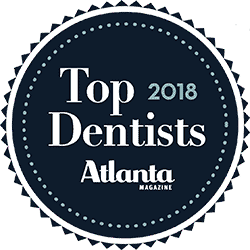 Dr. David Pumphrey’s years of experience and advanced postdoctoral training have enabled him to master the art and science of dental implants. He is therefore able to offer solutions, including bone and tissue grafting and periodontal disease treatment, for patients who may not initially appear to be candidates for dental implants. Previously, too little bone would prevent people from having implants placed. The dental CT scan has changed that, allowing us to find bone support that otherwise can’t be located in traditional x-rays. And with our lifelike software, we can design your implant treatment plan before your eyes on the computer monitor. The use of your own growth factors—easily extracted from a small blood sample—has made bone grafting more simple. And we have a wide variety of bone grafting materials always in stock, so virtually anyone can now benefit from dental implants. To learn more, click here to read our What Are Dental Implants? page or our Benefits of Dental Implants page. You can also find out more on our Am I a Candidate for Dental Implants page. If you would like to find out how we might be able to help you with dental implants, call our office or request an appointment via our online form.